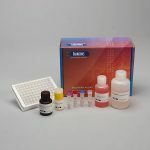 The Salimetrics Cotinine Enzyme Immunoassay Kit is a competitive immunoassay specifically designed and validated for the quantitative measurement of salivary Cotinine. This kit may be used to measure primary or secondhand exposure to nicotine. It is not intended for diagnostic use. It is intended only for research use in humans and some animals. Salimetrics has not validated this kit for serum or plasma samples, however a validated urine protocol is available upon request. The detection of exposure to tobacco smoke by measurement of Cotinine is the preferred method. Nicotine is not considered a valid marker of smoking status due to its relatively short half-life (approximately 2 hours). 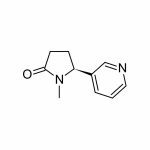 By contrast, Cotinine has an average half-life of 17 hours, and blood levels closely reflect the dose of nicotine absorbed from tobacco smoke. Saliva samples are easier to obtain over alternative biofluids, however, and saliva levels are highly correlated and used interchangeably with blood levels. Many studies show that levels of Cotinine in saliva show large inter-individual differences. The sources of these differences include factors related to intrinsic and extrinsic predispositions that affect the physiology of nicotine metabolism, the dose of nicotine present in the cigarette (or alternative source), and health behaviors relevant to how nicotine is used (e.g., cigarette vent blocking, duration and frequency of puffs). There is a clear advantage to providing inexpensive, accurate, quantitative, and noninvasive means of validating nicotine use, measuring the immediate physiological consequences of individual differences and intra-individual change in user’s behaviors, and determining secondhand tobacco smoke exposure. Salimetrics has designed this research tool to provide biomedical researchers with a highly sensitive and reliable means to do so. This is a competitive immunoassay kit. Cotinine in standards and samples compete with Cotinine conjugated to horseradish peroxidase for the antibody binding sites on a microtitre plate. After incubation, unbound components are washed away. Bound Cotinine Enzyme Conjugate is measured by the reaction of the horseradish peroxidase enzyme to the substrate tetramethylbenzidine (TMB). This reaction produces a blue color. A yellow color is formed after stopping the reaction with an acidic solution. The optical density is read on a standard plate reader at 450 nm. The amount of Cotinine Enzyme Conjugate detected is inversely proportional to the amount of Cotinine present in the sample.